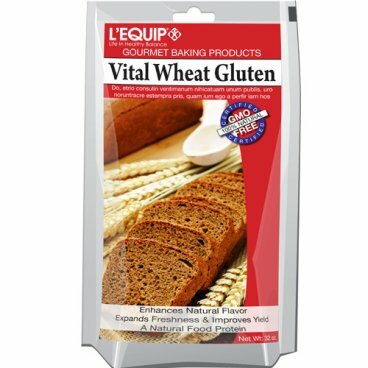 Wheat gluten is the natural protein derived from wheat flour. Adding this product to your bread results in improved uniformity and texture. It provides strength and stretch to dough and also improves yield and shelf life. 32 oz.